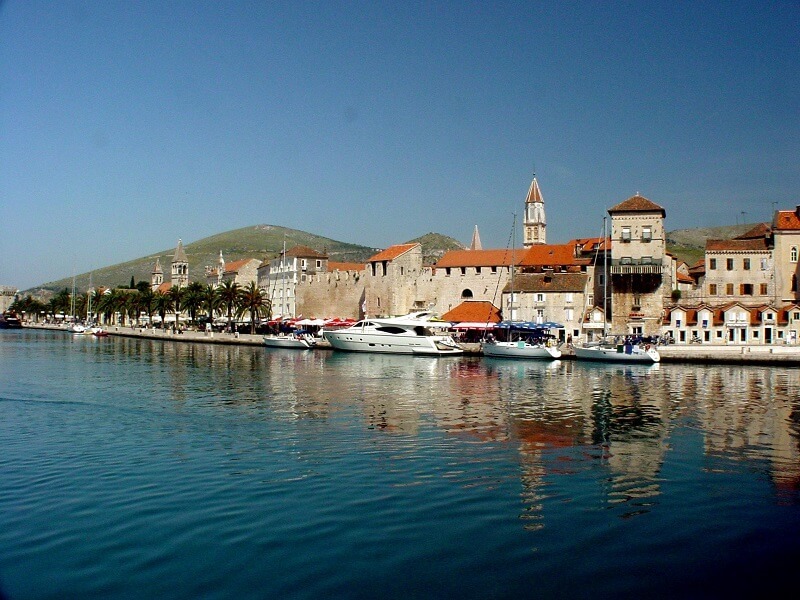 Gorgeous Trogir (called Trau by the Venetians) is set within medieval walls on a tiny island, linked by bridges to both the mainland and to the far larger Čiovo Island. 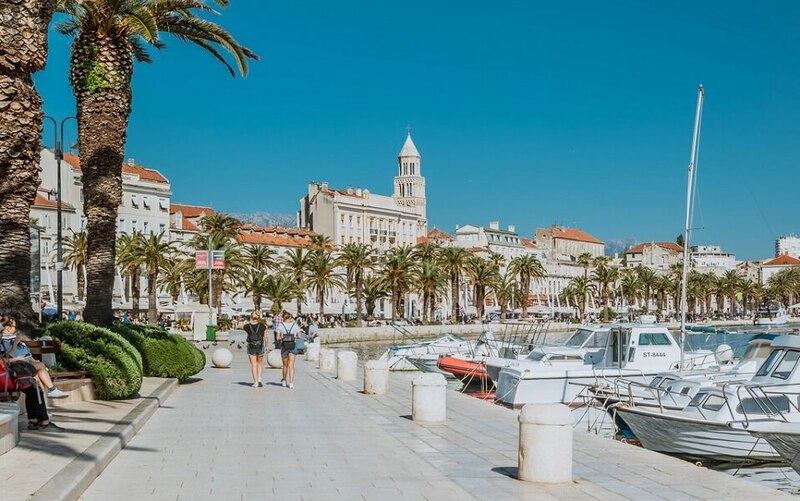 On summer nights everyone gravitates to the wide seaside promenade, lined with bars, cafes and yachts, leaving the knotted, maze-like marble streets gleaming mysteriously under old-fashioned streetlights. 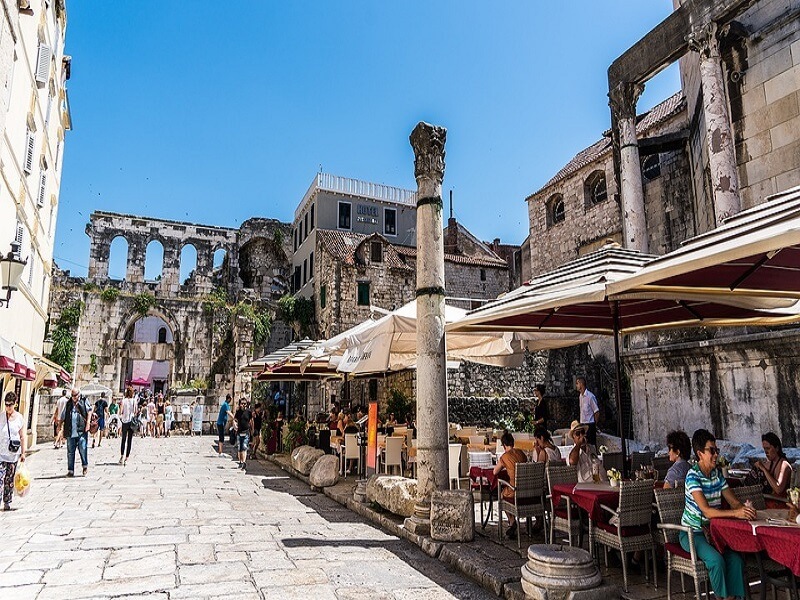 The old town has retained many intact and beautiful buildings from its age of glory between the 13th and 15th centuries. 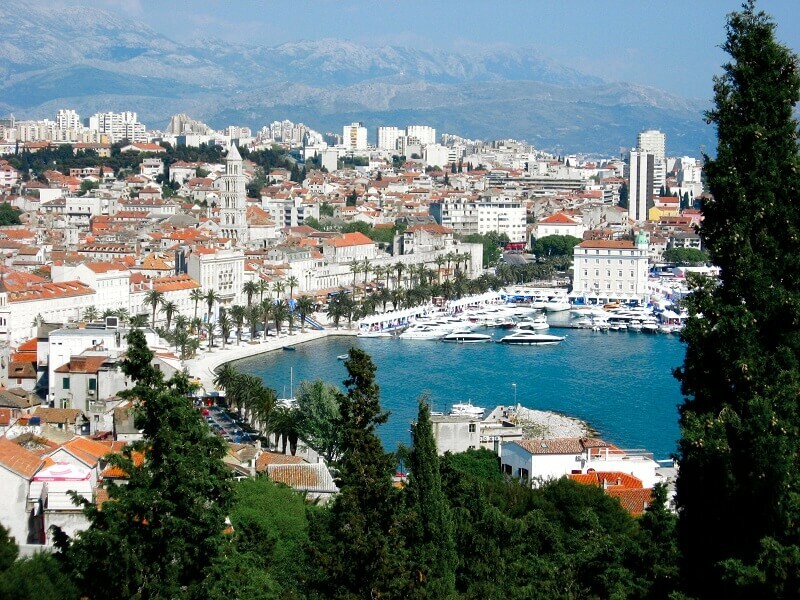 In 1997 its profuse collection of Romanesque and Renaissance buildings earned it World Heritage status. 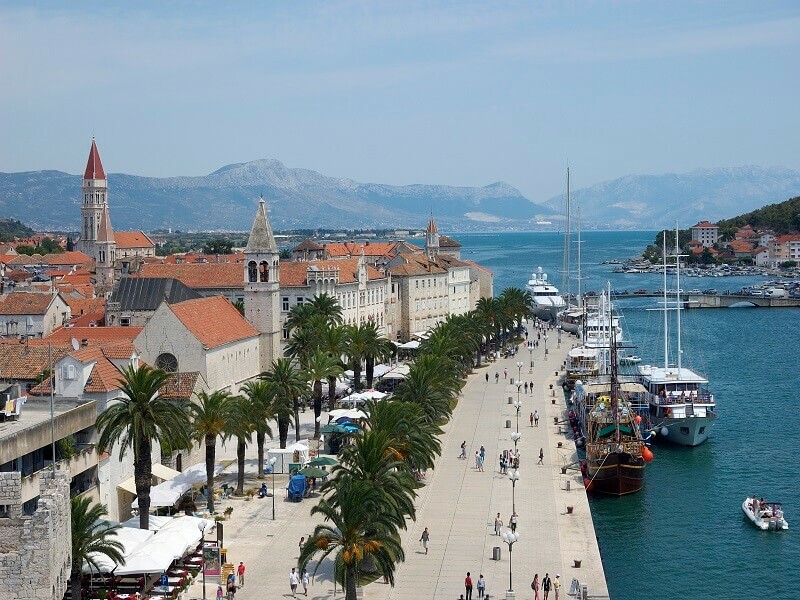 While it's easily reached from Split, (just 17 miles away) Trogir also makes a good alternative base to the big city and a relaxing place to spend a few days. 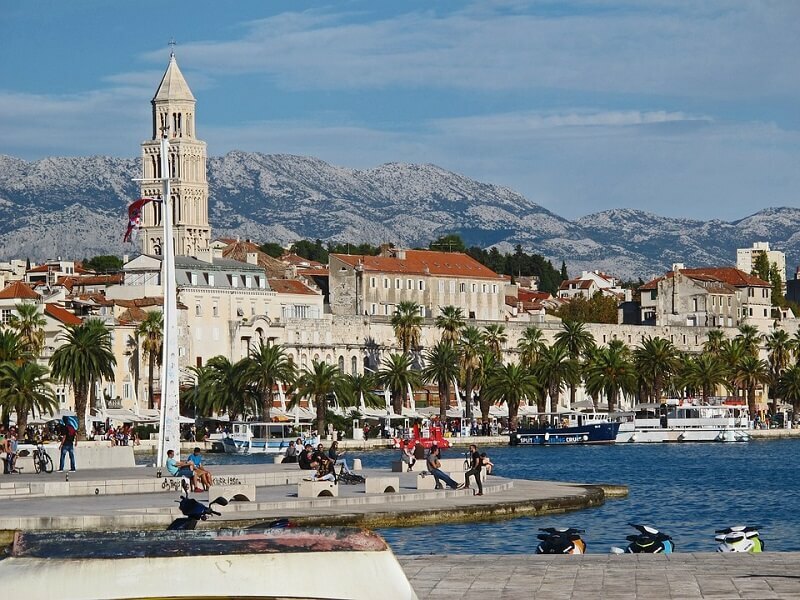 We invite you to visit Trogir, whose legends, myths and humanistic tradition made it a wondrous city, steeped in exceptionally rich history and brimming with longstanding memories. 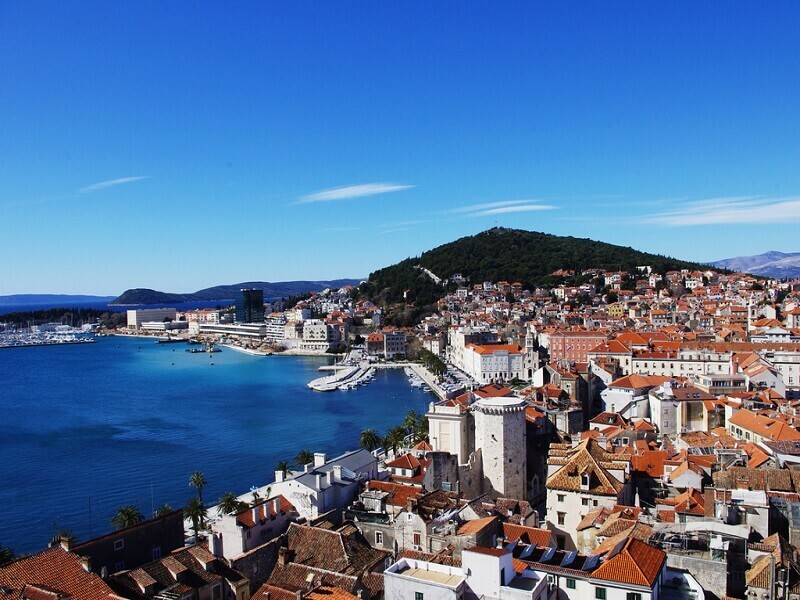 The city as a whole is a collective artwork which has been built and honed for centuries, surpassing local and Adriatic boundaries. 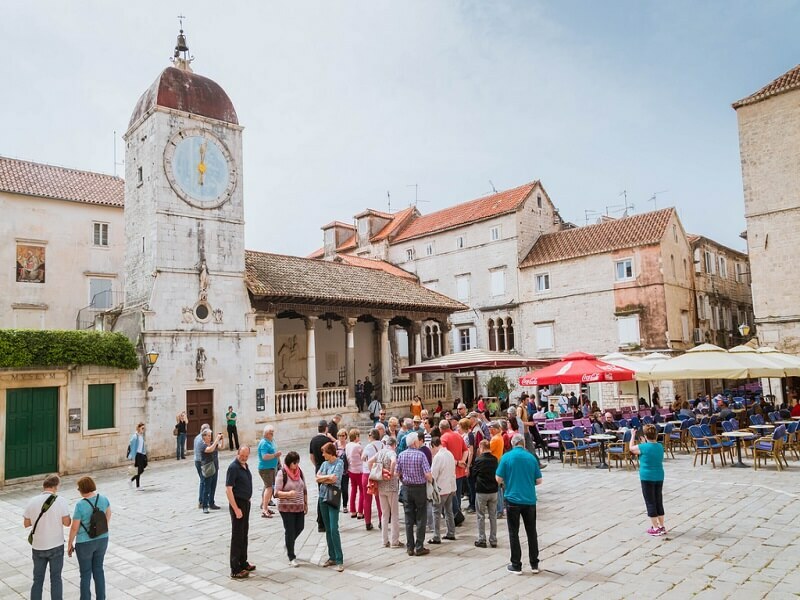 The town's centre is under UNESCO protection. 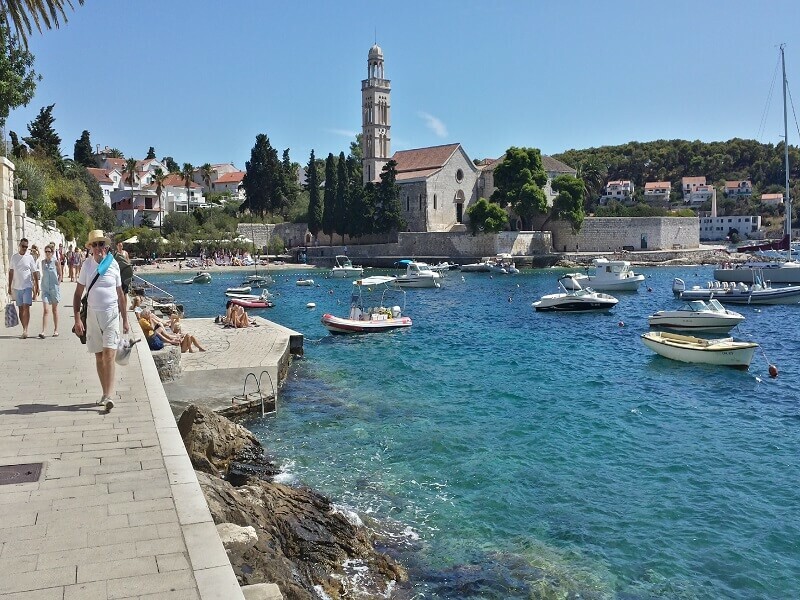 Check out why they call it "The Little Venice" and "The Stone Beauty". 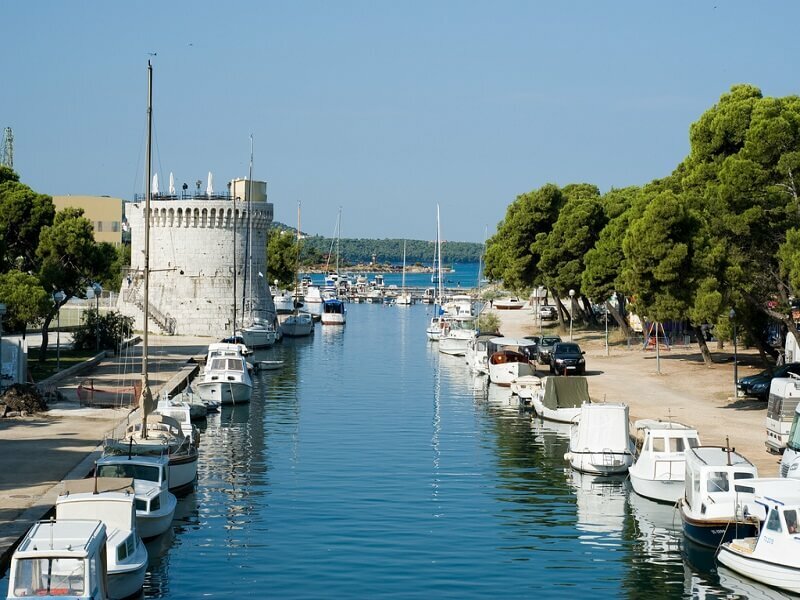 Test the power of the Greek god Kairos whose relief is kept in the Benedictine monastery in Trogir, who will, according to legend, give you a favourable opportunity if you manage to catch that naked, carved young man by the lock of his hair at the right moment. 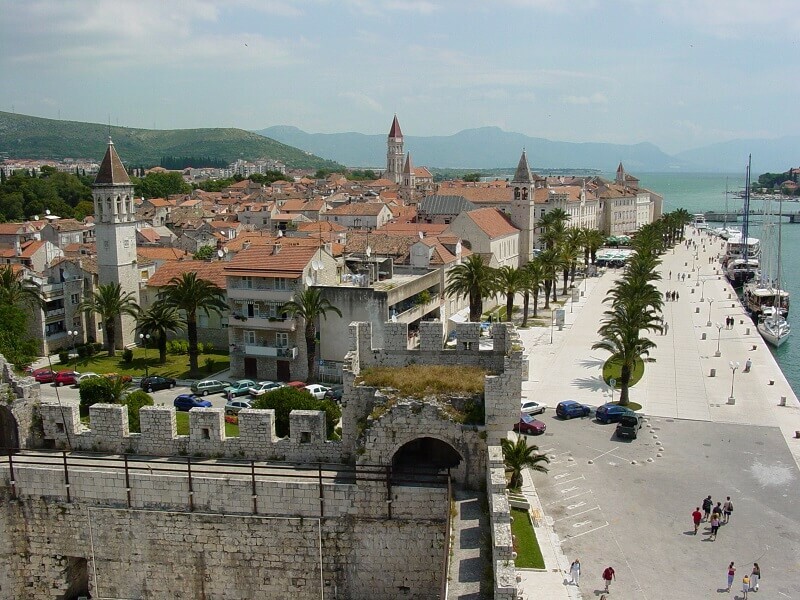 Ensure your moment of happiness and welcome to Trogir! 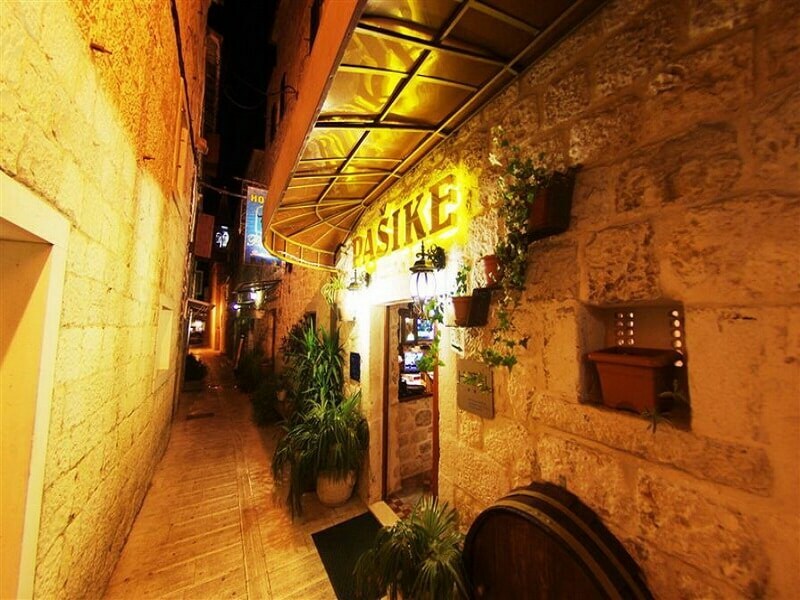 Hotel Pašike, located in the heart of UNESCO's town of Trogir, with its cosy, intimate atmosphere of a heritage hotel, is more than just a resting and meeting place. 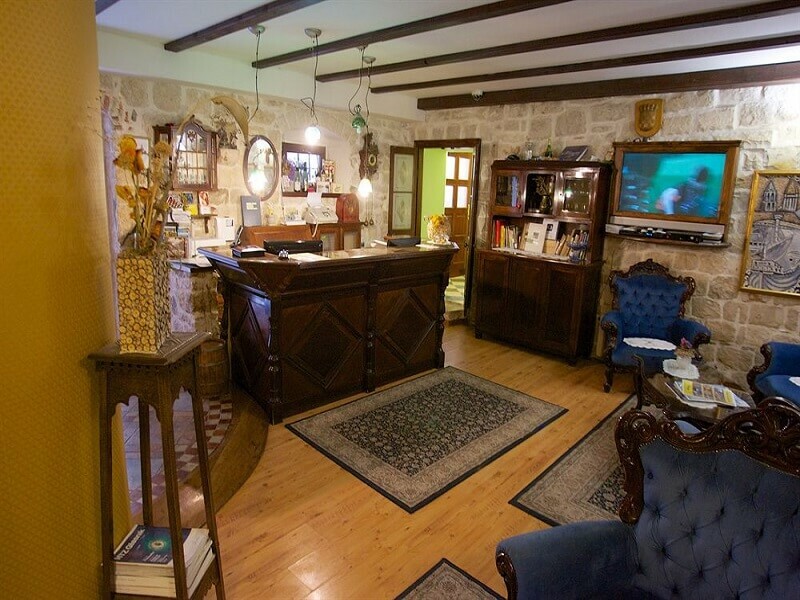 Our amiable and friendly staff will constantly be at your service and will make sure that the time you spend in our small family hotel, comprising a restaurant, 13 rooms and one suite, will be pleasant. 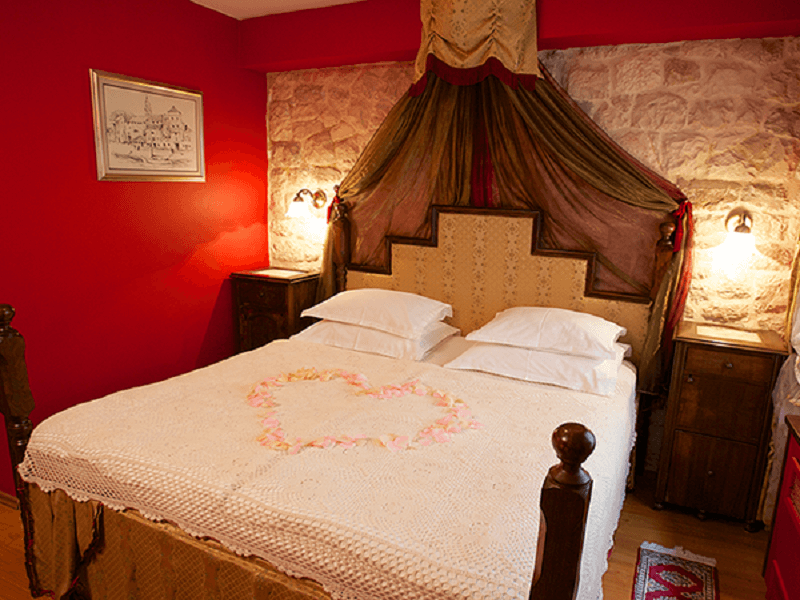 The hotel is situated in a building into which the previous generations and hands of unnamed builders weaved the spirit and patina of times past. 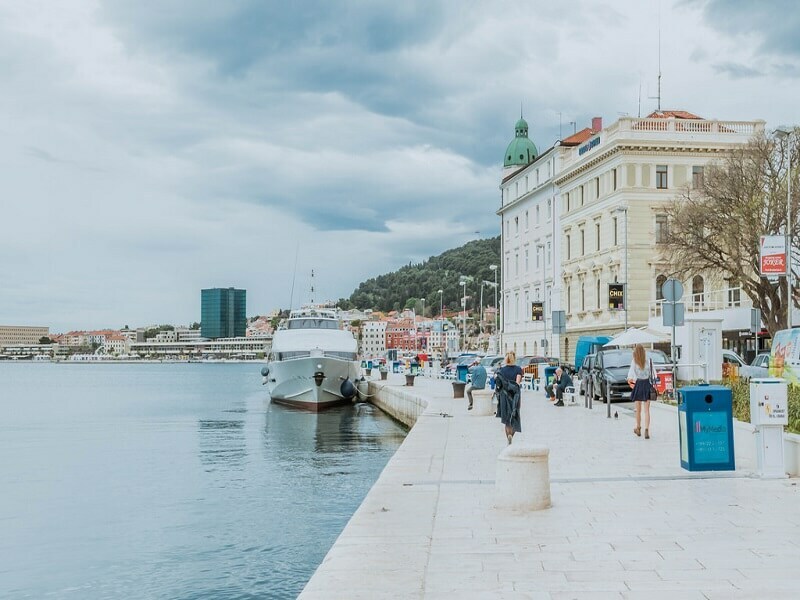 Experience a touch of the old, historic and indigenous Dalmatia in a charming ambience featuring restored antique furniture, enjoy the scents and flavours of the Mediterranean and take unforgettable memories of Hotel Pašike, Trogir and Dalmatia back home with you.